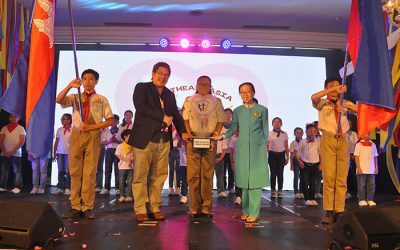 Cambodia has accepted the challenge to host the 2019 Southeast Asia Video Festival for Children. The Festival Director for the 3rd SEAVFC is Chhay Bora, a noted filmmaker in Cambodia. 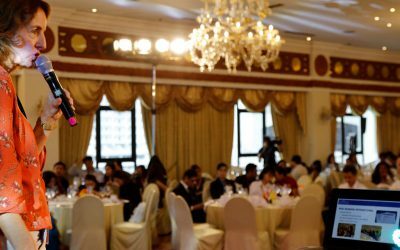 The Philippines hosted another successful staging of the Southeast Asia Video Festival for Children. Held in Manila on November 22-24, 2018, the event was well attended by representatives from the ten member-countries of Southeast Asia – Brunei, Cambodia, Indonesia, Lao PDR, Malaysia, Myanmar, Philippines, Singapore, Thailand and Vietnam. Prix Jeunesse International’s festival and project coordinator, Ms. Kirsten Schneid, came all the way from Munich, Germany to hold her talk session “Prix Jeunesse Suitcase” on the first day of the 2nd Southeast Asia Video Festival for Children. 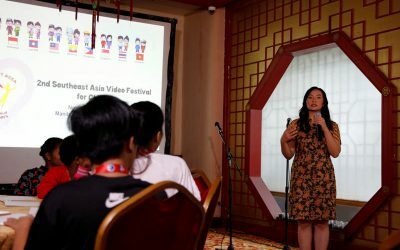 Acclaimed film director Livi Zheng discussed “How to be a Successful Video Director” in her workshop at the 2nd Southeast Asia Video Festival for Children. Ms. Livi started her workshop by showcasing some of her short films and trailers to the Southeast Asian children. Who are our everyday heroes? Themed “Everyday Heroes,” the 2nd Southeast Asia Video Festival for Children and the Youth is our chance to pay homage to the people who have performed heroic deeds – big or small – and who have made a lasting impression on us. Or, the teacher who offers words of encouragement, enabling a struggling student to strive hard in school. How about the preacher who inspires because of his words of wisdom? And what about the medical professional who faces up to the challenges of cancer, AIDS, as well as mental and physical disabilities in his or her daily work routine? Maybe the volunteer who serves the disabled in hospitals? He or she could be the one who pushed your sister’s wheelchair, bringing her from one place to the next, or the child with a disability who assisted a fellow child with disability. Indeed, the list of everyday heroes is endless. Without fanfare and with no thought of acknowledgement or reward, our everyday heroes perform heroic deeds — actions that are in the service of others. These acts of kindness and servitude done by ordinary people may seem mundane but they definitely make our lives lighter and brighter amidst difficulties. What’s more, they bring hope and engender a positive outlook that radiates to our family, community and country. Everyday heroes deserve to be appreciated, thanked, and respected. Their stories need to be told to enrich our lives. Let us tell their stories through videos for the 2nd SEAVFC and spread the message of Love, Hope and Peace in Southeast Asia. 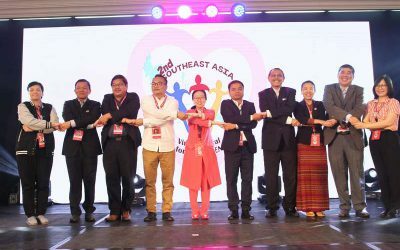 The opening ceremony of the Southeast Asia Video Festival for Children commenced on the morning of November 22, 2018. 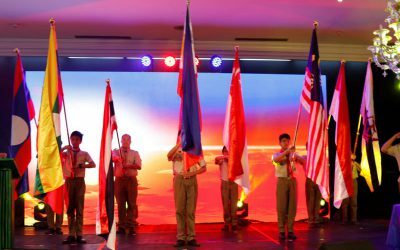 Boy scouts parading the flags of the ten ASEAN countries marked the beginning of the program. 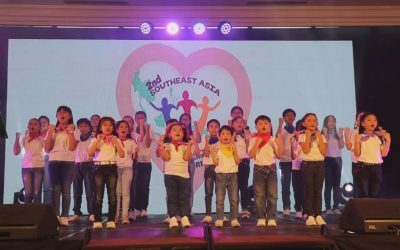 AnakTV Kids performing “A Brighter Horizon” during the opening ceremonies of the 2018 Southeast Asia Video Festival for Children.